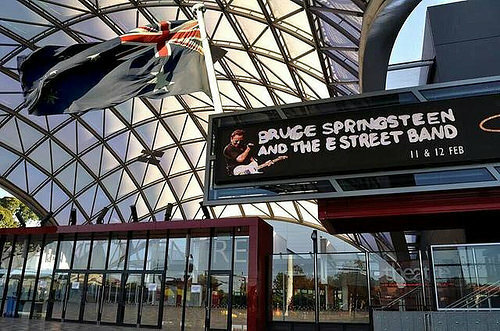 Bruce played the song 3 times at full. The song was also used as an instrumental to collect sign requests. Some sources say Bruce played an instrumental riff from Heat wave at the beginning of Circus song. But the audio’s don’t prove this to be right . Bruce performs "Heat Wave" with Martha Reeves and "Mary's Place" includes "Dancing In The Street". Heat wave was played instrumental. "Heat Wave" is an instrumental, played during the collection of sign requests. 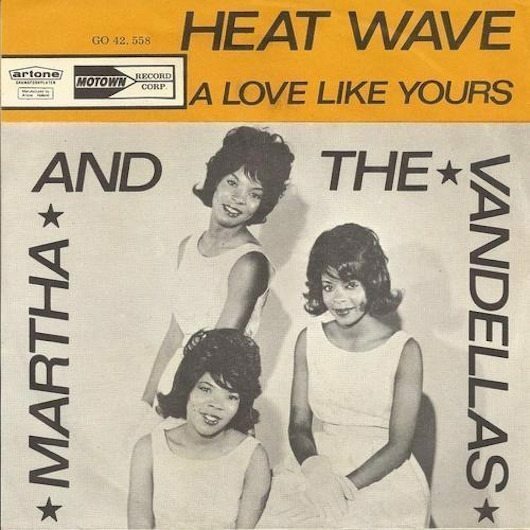 Martha and the Vandellas' "Heat Wave" opens. The song was also soundchecked. "Heat Wave" is a 1963 song written by the Holland–Dozier–Holland songwriting team. It was first made popular by the American Motown girl group Martha and the Vandellas. Released as a 45 rpm single on July 9, 1963, on the Motown subsidiary Gordy label.The lyrics of "Heat Wave" feature the song's narrator singing about a guy who has her heart "burning with desire" and "going insane" over the feeling of his love, and asking, "is this the way love's supposed to be?" The song is often referred to as "(Love Is Like a) Heat Wave", but the title on the label of the original 1963 single was just "Heat Wave". Produced and composed with a gospel backbeat, jazz overtones and, doo-wop call and responsive vocals, "Heat Wave" was one of the first songs to exemplify the style of music later termed as the "Motown Sound". The Martha and the Vandellas version was featured in the 1970 film The Boys in the Band.